September 13, 2016 Tokyo, Japan – Wacom Co., Ltd. today announced the addition of the STU-540, its most advanced and robust signature pad, to its industry leading family of signature capture devices. Combining the broadest range of connectivity options, user conveniences and top-level encryption, the STU-540 is the premier choice for organizations looking to implement handwritten electronic signature into their workflow. Wacom’s newest signature pad expands support for signature capture in a variety of environments. In desktop environments, it utilizes standard USB. For virtualized desktop configurations, there are several options – giving users a range of choices to best fit their requirements. The STU-540 is natively supported in Citrix v7.6.3 and newer. For Citrix v6.5 and other virtualized desktop environments, the new model can be set up to emulate a serial connection over USB. In addition, the STU-540 offers the option, via a separate accessory kit, to add a physical serial connector instead of USB. Wacom also increased the utility and ease of use of these signature pads by incorporating frequently needed features and functions directly into the STU-540. The color screen can be utilized for a variety of uses beyond just signature capture without the user needing to create and implement their own applications. Instead, these built-in functions can be accessed by a simple utility. When not in signing mode, the color screen on the signature pads can display high-quality images for advertising and marketing without a separate application continuously running in the background. Instead, the images run directly from the signature pad. Additionally, a customizable keypad feature lets an administrator set up configurable on-screen keypads or soft keys that can be used to collect a myriad of different types of information to support different workflows. 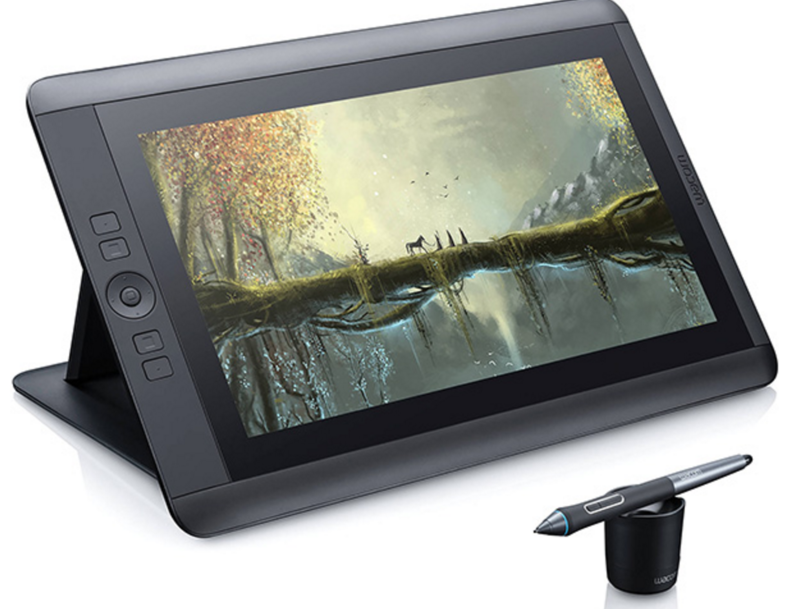 The STU-540 continues Wacom’s tradition of providing strong encryption to protect signature data transmitted between the signature pad and workstation or terminal. The STU-540 features proven and secure AES256 / RSA2048 encryption. The STU-540 features a 5-inch, high-resolution color LCD displays with an anti-glare surface that provides an enhanced viewing experience in all lighting conditions and also provides better tactile feedback while signing. It also incorporates Wacom’s digital inking technology – WILL (Wacom Ink Layer Language) – to produce an on-screen signature that looks clean, crisp and visually replicates pen on paper signatures. Wacom’s patented cordless and battery-free pen technology provides users with the best signing experience. It also delivers an industry-leading 1024 levels of pressure sensitivity capable of capturing a signer’s pressure profile as part of the unique biometric profile during the signing process. Each unit also has a unique hardware ID that can be used to determine the exact unit that was used for a particular signature. The STU-540 joins the STU-300B, STU-430, STU-430V and STU-530 in Wacom’s portfolio of signature pads. The entire family is supported natively in Citrix v7.6.3 and later. In addition, the STU-540 and STU-430V support older versions of Citrix as well as other terminal server environments. Wacom’s Signature SDK (Software Development Kit) and STU SDK are available to integrate support for Wacom’s signature devices into native applications. For pricing and availability information on the STU-540, please contact your local sales representative.